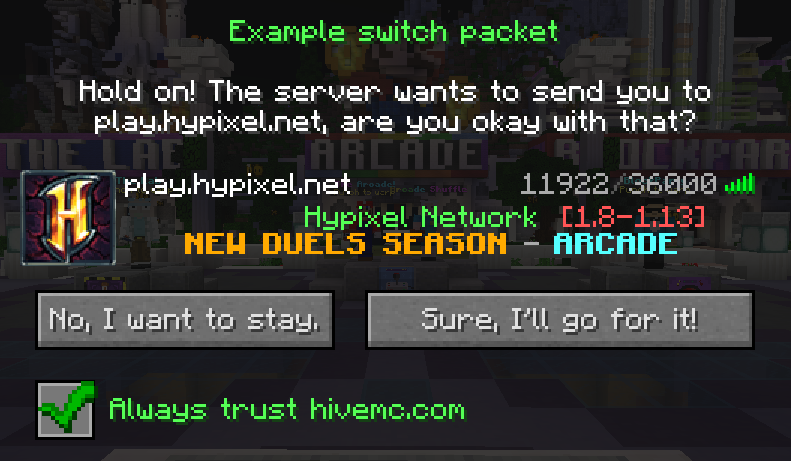 With our server switch packet you can send LabyMod users between different servers. The server can request a user to directly connect to a different IP address (or domain name). This can be used to create multi-server-networks. As this does not need any extra proxy software and hardware, it is generally cheaper for a network to connect players directly to the servers instead of using an intermediate software like BungeeCord.